Editor’s Note: We updated this article for 2019. This is our fifth time ranking the best places to live in Arkansas. Arkansas is one of the friendliest places on earth and is known as the Natural State due to the vast abundance of natural beauty, gorgeous lakes and streams, and interesting wildlife. With so much beauty, everyone who lives in this state probably thinks that they live in the best town or city in Arkansas. 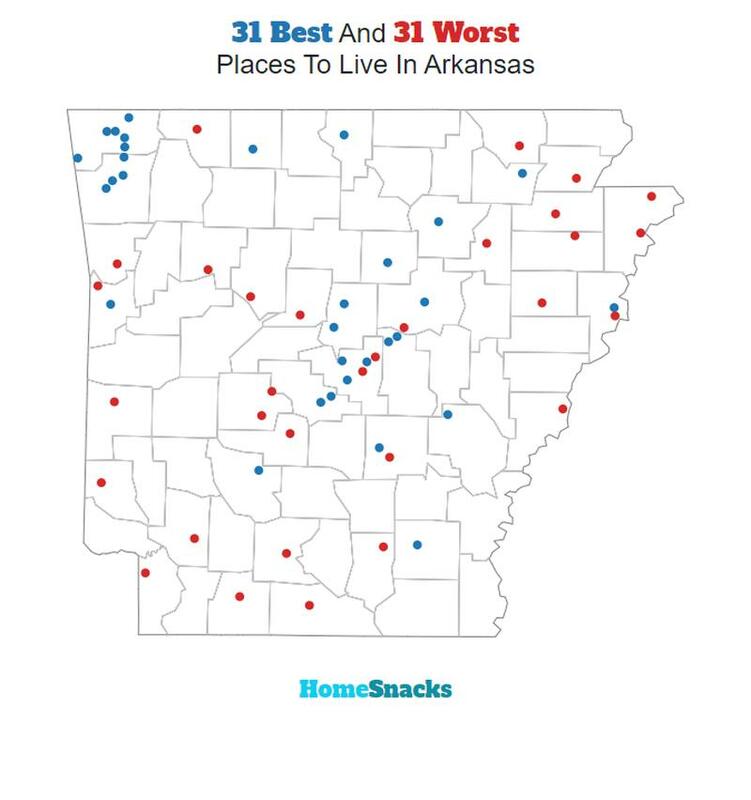 But we’ve compiled data and found the real 10 best places to live in Arkansas based on factors like education, low crime rates, and high incomes. Here is the cream of the crop when it comes to places to live in Arkansas. As you can see, there are plenty of amazing places to live in Arkansas, but these top 10 cities are undoubtedly take the cake. Their low unemployment rates, low crime rates, high incomes, low household vacancy rates, and high student expenditure rates make these 10 places the best places to live in Arkansas. 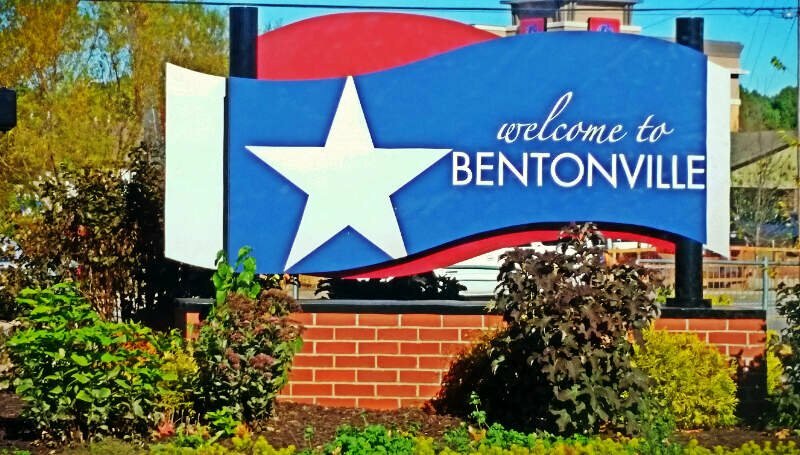 Bentonville is by far one of the best places to live in Arkansas: the math proves it! 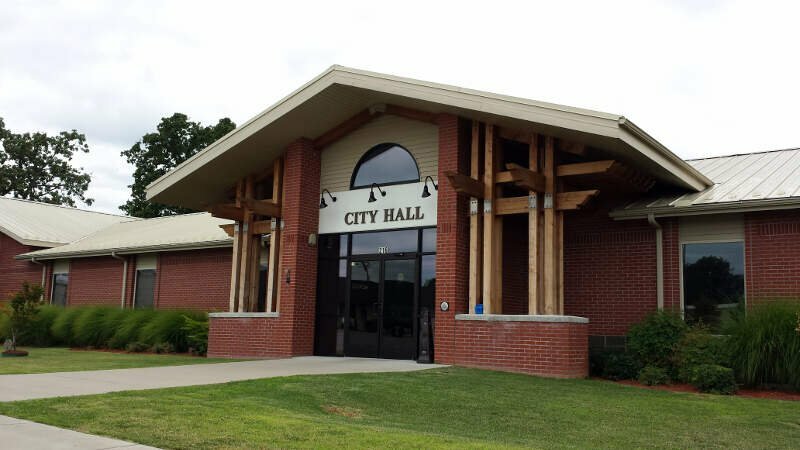 This city has the 6th lowest unemployment rate and the 2nd highest median income in all of Arkansas. Plus, the median home values are the 3rd highest in the state. And if all of that isn’t enough to convince you, then check this out: their crime rate is the 6th lowest in the state, making Bentonville a safe and great place to live. Maumelle is unequivocally the best place to live in Arkansas. Not only do they have the highest student expenditure in the state, meaning they place a very high value on their students’ education, but they also have the 1st highest median income. Additionally, they have the 9th lowest crime rate, making it one of the safest city in Arkansas. If that wasn’t enough, their unemployment rate is only 3.2%%. 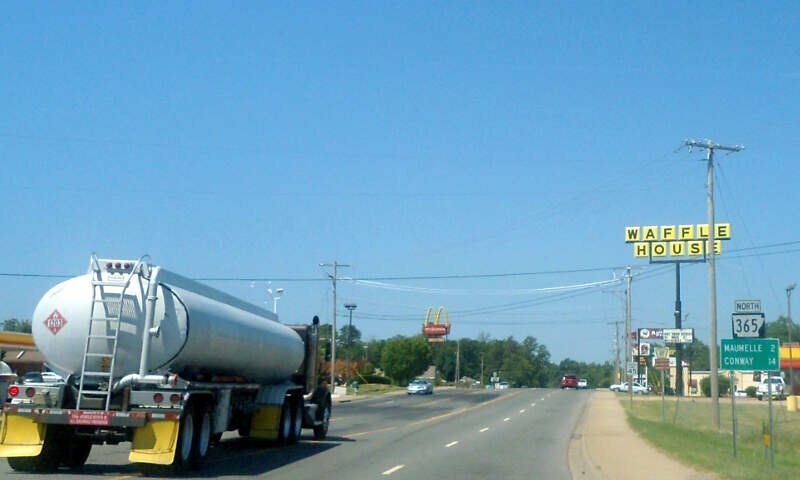 Overall, Maumelle is the place to live in Arkansas. Say what you want about cheap living. 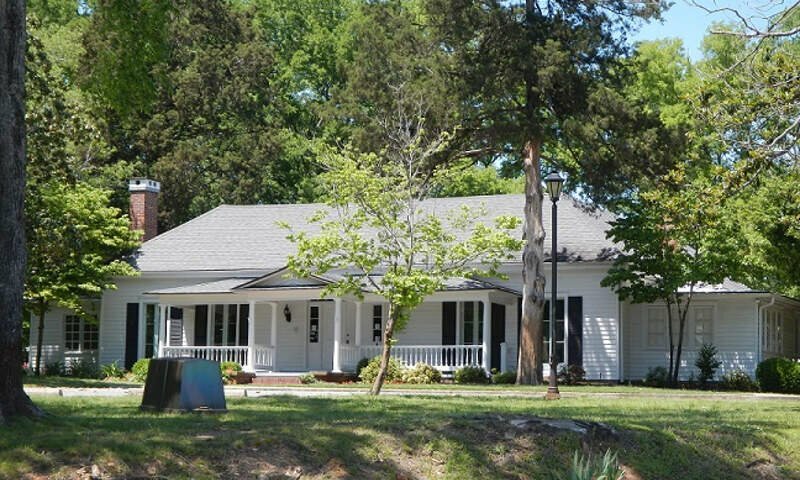 The fact is, homes are priced by demand, and there’s A LOT of demand to live in Bryant. Bryant ranked impressively high for its crime rate (29th overall) and its short commute times (52nd). Centerton is a short drive from everything, but who would want to leave the 4th best place in Arkansas? 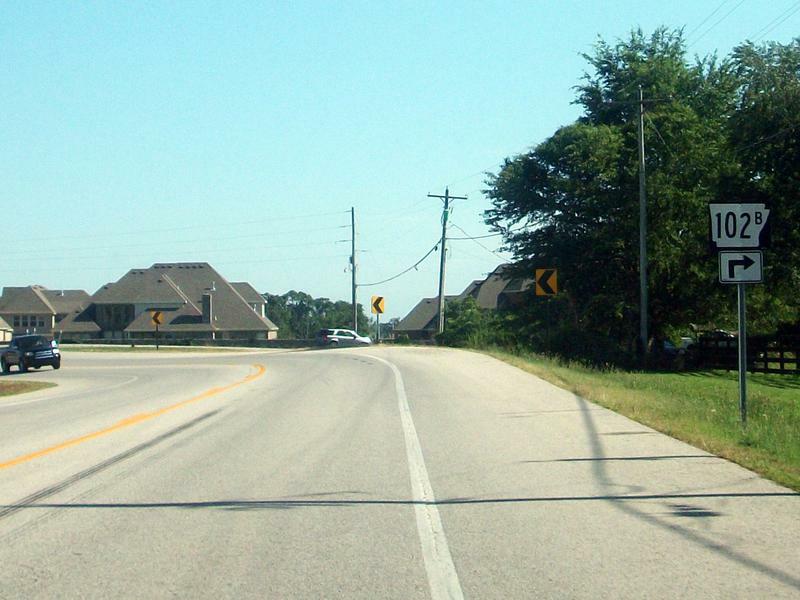 Homes are priced around $144,300 and residents have the 51st shortest commute in Arkansas. 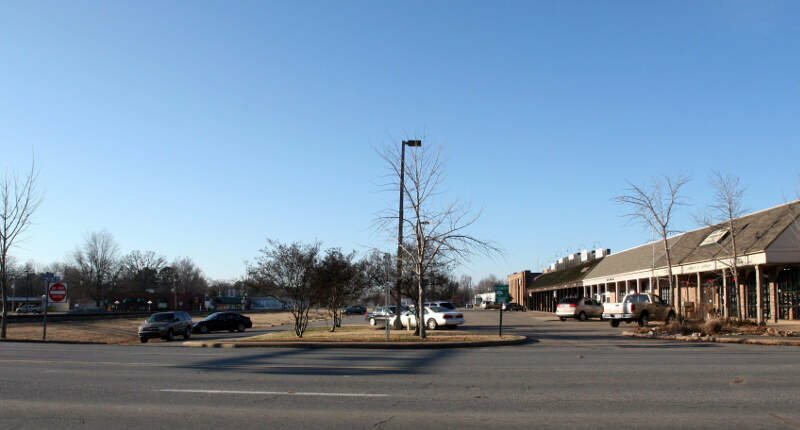 Greenwood isn’t just the nicest place to live in Arkansas – it’s also the one of the fastest growing places in the state. And with good reason. It’s got the 14th lowest unemployment rate, the 9th highest adjusted income, and rates above most places in education. When you’re looking at science and data, Greenwood definitely deserves a spot on the list for 2019. 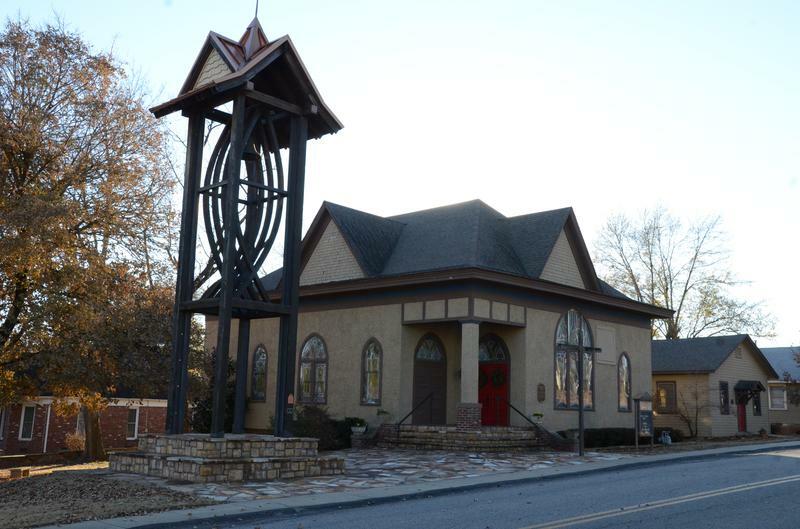 Cabot’s unemployment rates are some of the lowest in the state and the median income is the 8th highest, making Cabot a great place to work and settle down if you’re look for a stable job with a stable income. 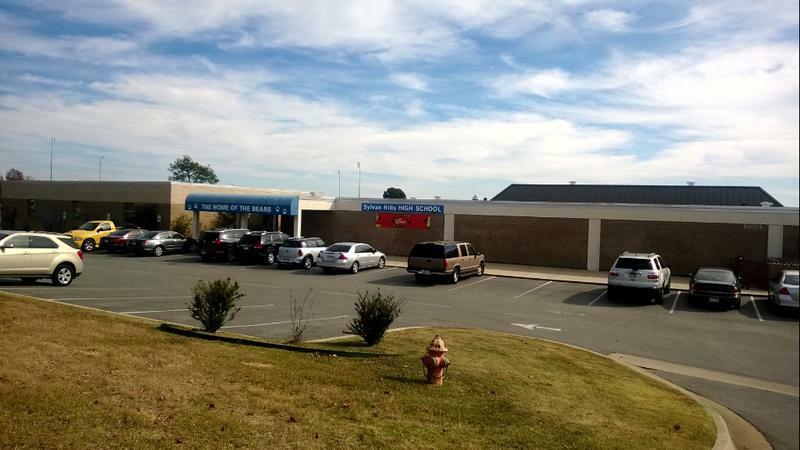 Additionally, Cabot has above average education and low crime, making this place a safe place to live. There is not a whole lot to do in Cabot. There are a ton of dollar stores and everything closes down before 6pm… Except for Wal-mart, McDonald’s, and Waffle House. There is pretty much no night life for anyone that is not creepy. I lived there for about 10 years and hated it. The only reason that it gets a 25 rating is because Cabot has quite a few really fun thrift shops and flea markets. Cabot is also not as bad as Ward and Beebe. Favorites: Dolly’s Flea Market, Grinds Coffee Co., China Buffet, Morina’s, and various consignment shops and flea markets. 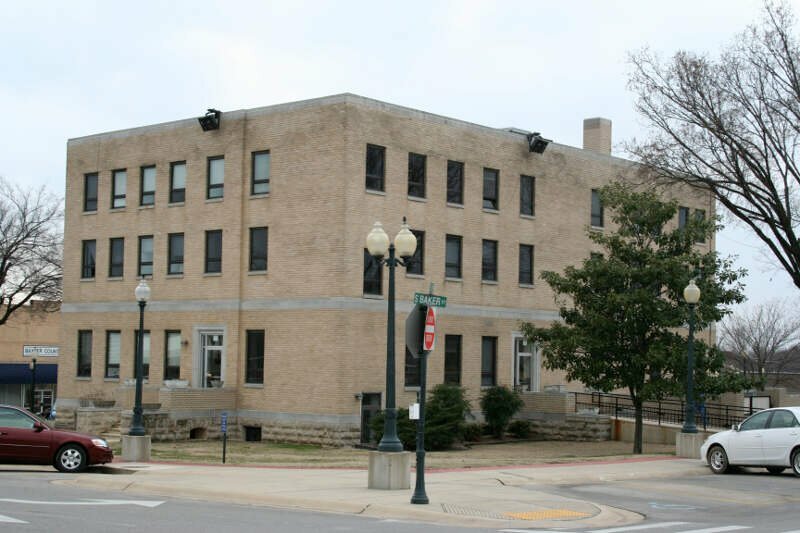 White Hall broke into the top ten best places to live in Arkansas on the back of a low unemployment and a quality schools system. It placed 4th overall for its low unemployment rate and the 6th highest median income of any place in our analysis. However, it only has the 46th shortest average commute time of any place in Arkansas. Perhaps what makes Sherwood so amazing is the high emphasis they put on quality education: they have one of the highest rate of education at attainment for adults. However, quality education isn’t all that makes Sherwood great. They also have the 7th highest median income and the 45th shortest commute time. Good things do come in small packages; it’s true for Lowell, which with a population of 8,322 makes it one of the smallest on this list. Relatively low unemployment and relatively high adjusted income are just two blessings Lowell residents enjoy. The 3rd lowest crime rate in all of Arkansas makes Lowell one of the safest place on this list. Mountain Home had the 15th lowest unemployment of any place in our research (4.7%) and the 20th lowest crime rate. However, the relative lack of population density and long commute times held it back from being higher on our list. Mountain Home is home to an exceptional Volunteer Fire Department that represents so much about what it’s like to live there. Before we even started to collect data, we had to answer a tough question: Is it fair to pit Little Rock with a population of 197,640 against places with a population of 18? This left us with 60 cities, 143 towns, and 298 small towns. We ranked each place in Arkansas across a number of criteria from one to 60, with one being the best. We then took the average rank across all criteria, with the city posting the lowest overall score being crowned the winner of the title “Best Place To Live In Arkansas”. After the dust settled, what was the best place to live in Arkansas? That would be Bentonville. If your city or town isn’t among the top 10, jump down to the bottom of the post to see a detailed chart of the best places in Arkansas. Otherwise, buckle up for a ride down good living lane with Bentonville at the end of the cul-de-sac. If you’re looking at areas in Arkansas with the best economic situations, where there’s lower than average crime, and a lot to do, this is an accurate list. Bentonville made a strong showing to take in the overall number one spot for the best place to live in Arkansas for 2019. 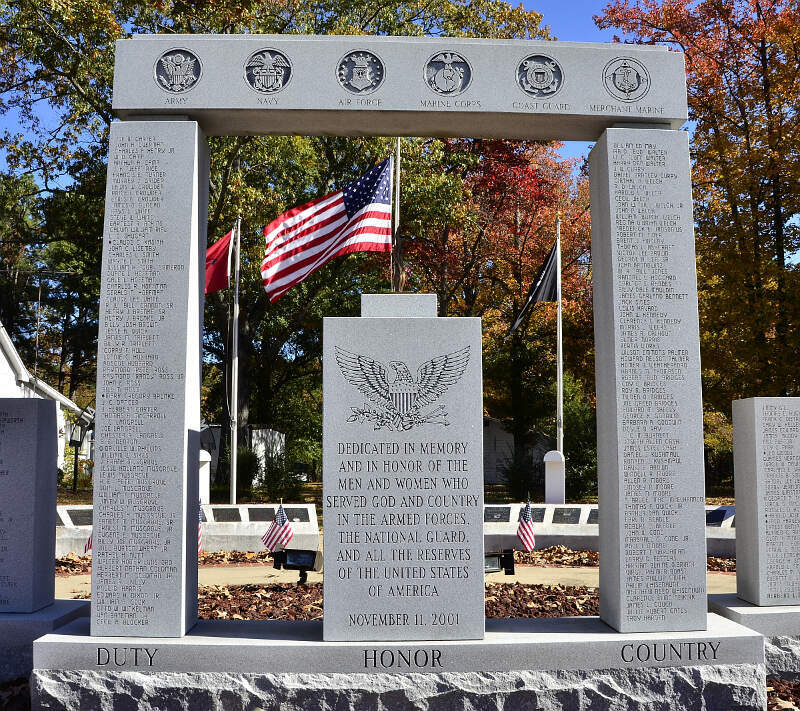 Where Are The The Best Places To Live In Arkansas? There are several places in Arkansas that caught my attention. They are Maumell and Sherwood.